The yearly cost of tax breaks given to Long Island companies by Industrial Development Agencies has tripled since 2004, to more than $140 million, fueling calls for reform. As a labor movement we have long been at the center of this fight calling for transparency and accountability among the region's eight IDAs. In concept, the IDAs are tasked with the mission of creating good jobs. We have, and will continue to call on the state legislature and the IDAs themselves to enact policy reforms that will ensure that the recipients of our tax dollars live up to their obligations of good jobs and economic progress. Homeowners, politicians and good-government groups have joined in the fight over the years criticizing local IDAs for cutting the taxes of automobile dealerships, self-storage facilities, a shopping mall and businesses for play one community against the other on our island. Tax reductions granted by IDAs - which must be made up by other taxpayers - can last 10, 20 or even 40 years. He has proposed legislation to overhaul IDAs in response to two recent controversies: requests by the developer of waterfront apartments on Long Beach’s Super Block parcel for help from the Nassau County IDA, and large increases in homeowners’ tax bills because of a budgeting error by two Valley Stream school districts over tax breaks granted to Green Acres Mall and an adjacent strip plaza by the Hempstead Town IDA. IDAs are public authorities run by appointed boards that operate independently of local government. Their mission is to grow the economy by granting tax incentives to expanding businesses that retain and create jobs. IDAs were established under a 1969 state law and are regulated by the state comptroller and Authorities Budget Office. Besides the Nassau and Hempstead IDAs, there are agencies for Suffolk County, Babylon, Islip, Brookhaven, Riverhead and Glen Cove. 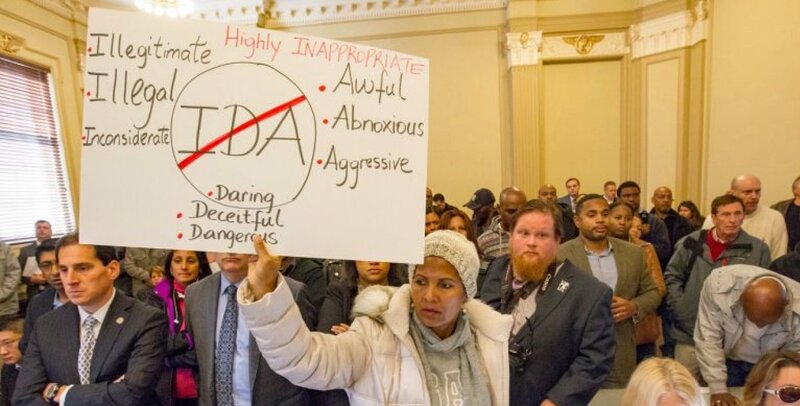 Holding the Nassau and Hempstead IDAs accountable for their decisions was an issue in last year’s elections for county executive and town supervisor. The victors, both Democrats, have promised more public disclosure and input before tax breaks are approved by the IDAs. They can influence IDA decision-making through the appointment of IDA board directors. Advisers to the new Nassau County executive, Laura Curran, have also discussed combining the Nassau and Hempstead IDAs.